I plan on bass fishing! You get opportunities to do things when you retire that you couldn’t always find the time for when you were busy working and raising a family. For each of us those things can be vastly different, but for many one dream is to fish, fish, fish! 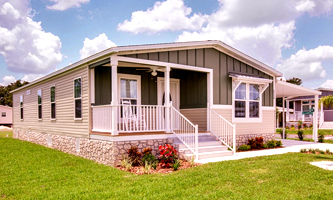 At River Villas 55+ Community, the opportunity to fish is practically at your doorstep. Our private marina is your gateway to the St. Johns River and world-class Bass fishing. Bring your boat and your poles – River Villas is the perfect place to retire along the St. Johns River. Across the web you’ll find numerous lists and videos of Bass Fishing Tips, but today I’m going to share with you just one – the St. Johns River in Florida! At 310 miles in length, the St. John’s River is the longest in the state and has been a stop three times over the last five years for the Bassmaster Elite Series. If you love to bass fish but have never fished in a tournament before, you have no idea what you are missing. Bass Capital BassMasters was started for just this reason. To promote the future of bass fishing and to keep and make sure tournament fishing continues to be a fun and enjoyable sport. Beginning fishermen will enjoy our club for the opportunity to meet other fishermen, learn new fishing techniques, and gain exposure to competitive fishing. Experienced anglers enjoy our club for the camaraderie and the chance to share what they know with other fishermen. We are an extremely active club with around 200 families (over 400 members). Our meeting place is the VFW in Palm Coast. We meet once a month and have a lot of events and tournaments throughout the year. Our meetings focus on educating members on local fishing techniques as well as staying informed on local laws and regulations. Most meetings are attended by a speaker who is a professional fishing guide in our local area. If you are considering joining our club, stop by on the first Wednesday of any month (except December). See more info under the membership link. Hi, great post. I really loved your article. I am a big fan of fishing. It is super awesome. Thank you my friend. Copyright ©2019, River Villas. All rights reserved. Website Design by Asheville Design Works, hosting by RetireNet.